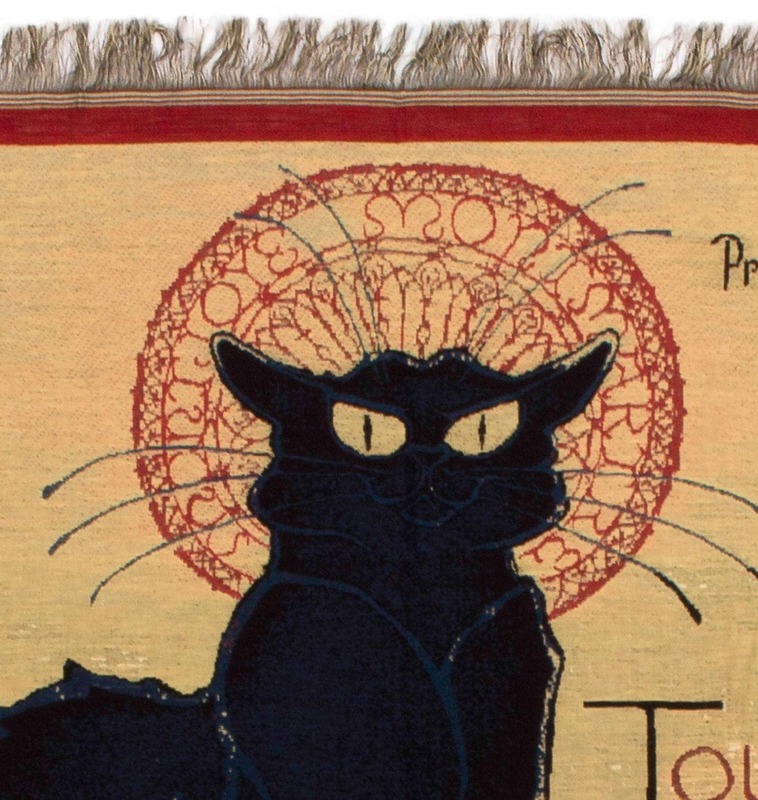 This Museum Collection tapestry throw blanket cover shows Le Chat Noir, french for "The Black Cat". It was a nineteenth-century entertainment establishment, in the bohemian Montmartre district of Paris. It opened on 18 November 1881 at 84 Boulevard Rochechouart by the impresario Rodolphe Salis, and closed in 1897 not long after Salis' death (much to the disappointment of Picasso and others who looked for it when they came to Paris for the Exposition in 1900). 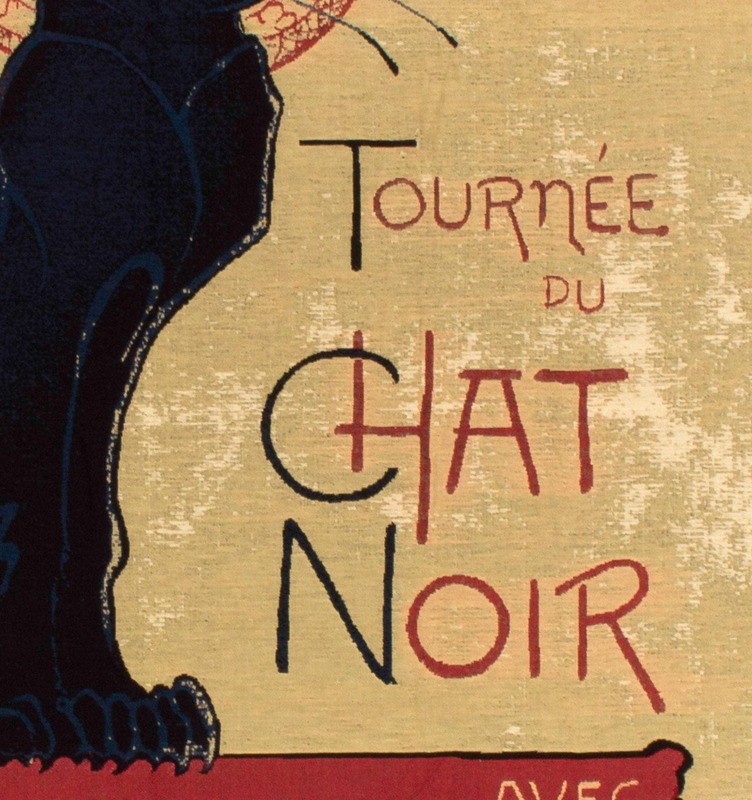 Le Chat Noir is thought to be the first modern cabaret: a nightclub where the patrons sat at tables and drank alcoholic beverages while being entertained by a variety show on stage. The acts were introduced by a master of ceremonies who interacted with well-known patrons at the tables. Its imitators have included cabarets from St. Petersburg (Stray Dog Café) to Barcelona (Els Quatre Gats). 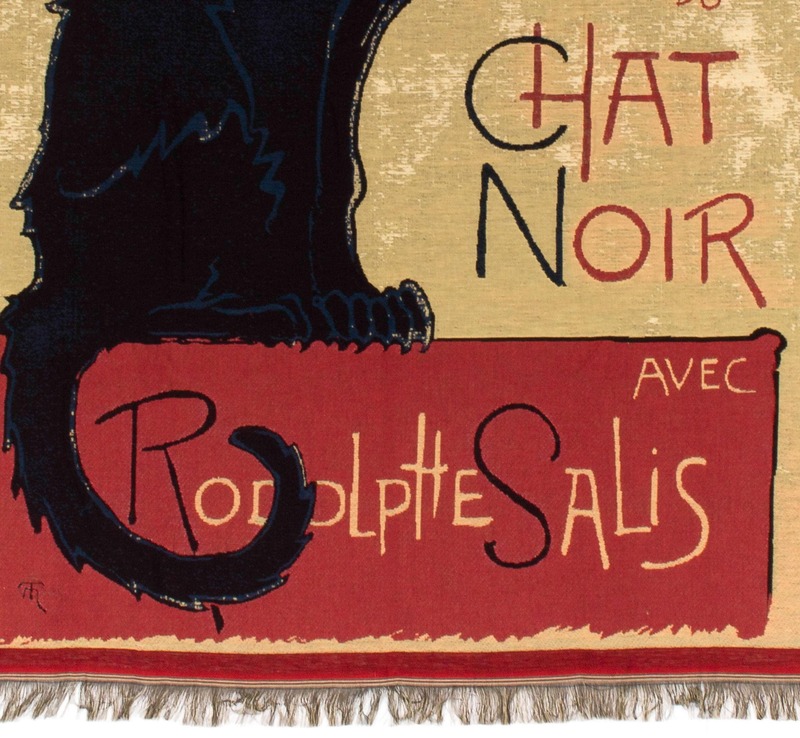 Perhaps best known now by its iconic Théophile-Alexandre Steinlen poster art, in its heyday it was a bustling nightclub that was part artist salon, part rowdy music hall. 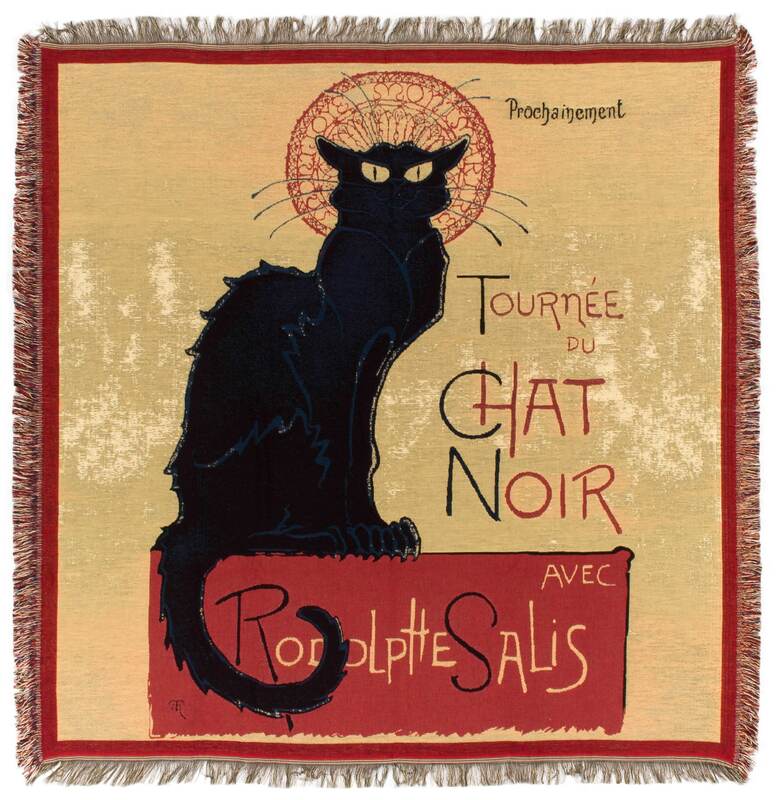 The cabaret published its own humorous journal Le Chat Noir until 1895. Tapestry design is a craft that only a few master. The designer starts from a high resolution image, which he scans and then comepletely reworks it until it is ready for weaving. Averagely, the "cleaning up" of an image takes between 12 and 16 hours. Respect !